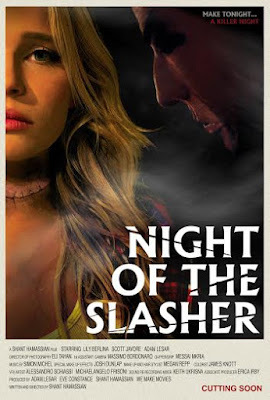 Multi award-winning short film, Night of the Slasher, written and directed by Shant Hamassian, competes for Best Narrative Short at two Oscar® qualifying festivals; the St. Louis International Film Festival in Missouri, USA and the Foyle Film Festival in Ireland. If it wins, it becomes eligible for an Oscar® nomination. 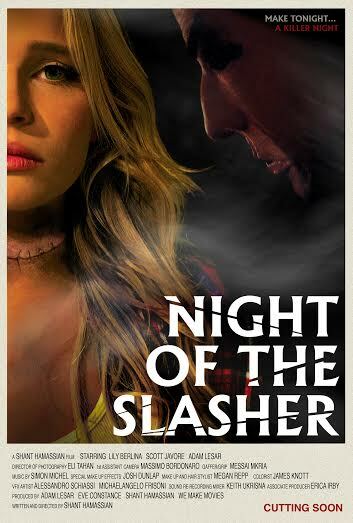 Starring Lily Berlina, Scott Javore and Adam Lesar, 'NIGHT OF THE SLASHER' is written and directed by Shant Hamassian.